This week’s Fortnite challenges leaked like water through the hull of a rotten pirate ship, so we had an idea of what they would be, but now it’s official. The launch of season 8 has seen a number of nautical-themed and volcanic changes to Fortnite, but one thing remains constant – seven weekly challenges that earn eager players extra Battle Pass tiers. Here’s what’s coming from Season 8 week 2. This challenge is the easiest to complete since Supply Drop locations now show up on the map as they’re falling. It’s easier to last until Supply Drops appear late in the game in a lot of the LTM modes, so if you’re struggling, try there. This challenge might take a few tries, since the cannonballs are slow and unwieldy. 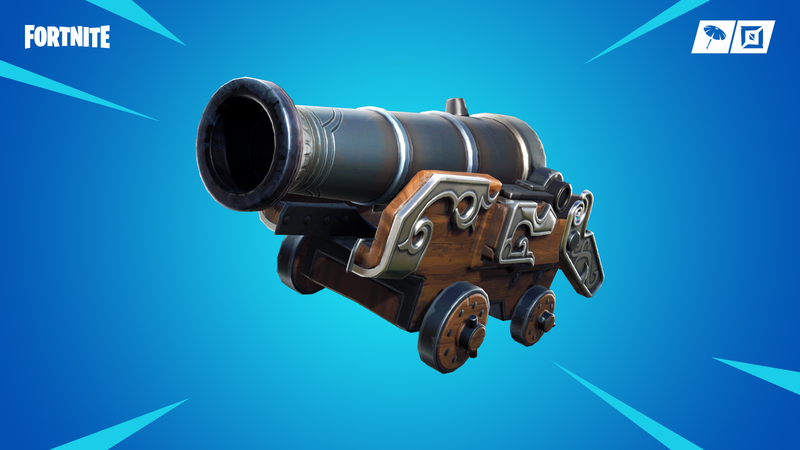 Your best bet is to land at one of the pirate cannon locations at the Pirate Camps around the map. The one to the south of the Volcano is busy at the moment because it’s a new area. Try landing at these areas when the Battle Bus flies closely past them at the start of the match. That way you’re more likely to run into people dropping in there. This isn’t any specific location, you just have to search three chests in three different locations to complete it. Try dropping into Snobby Shores, Salty Springs, Shifty Shafts, or another chest-rich location to ensure a good start, then move on. Apples are easily found at Lonely Lodge, which is also a good place to find Med Kits from chests and floor spawns. You’ll have to lose some health first to be able to gain some from the healing items, so try jumping off somewhere high – like the Lonely Lodge tower – before you do. This is straightforward to do over five matches, and can be completed across Solo, Duos, Squads, and LTMs. This challenge is most easily done across four different matches. We’ve got a full guide on how to visit the furthest North, South, East, and West points of the island, so check it out.